London, 1863: prostitutes in the Waterloo area are turning up dead, their sexual organs mutilated and removed. When another girl goes missing, fears grow that the killer may have claimed their latest victim. With the assistance of her trusty Chinese maid, Amah Li Leen, Heloise inches closer to the truth. But when Amah is implicated in the brutal plot, Heloise must reconsider who she can trust, before the killer strikes again. Tjia brings us a pacey and exciting murder mystery set in Victorian London. This historical crime thriller sees a young female detective work with the police to evade a violent killer. This is a super novel set in Victorian London. Heloise Chancey is a beautiful woman who lives among London’s high society in Mayfair but she is far from one of them. In her younger days she was a woman who sold her favours. Her charms had one very influential and wealthy gentleman fall in love with her, hence her residence now, including maid. The thing was she had a bright mind and the need to use it and so worked, on the sly, for the police as a lady detective. Her ability to get into places they couldn’t, made some unsolvable crimes now possible. A Speight of horrendous murders was occurring among prostitutes, with Jack the ripper type mutilations, as the book begins with one of his victims welcoming the end of her life. Heloise is an extremely likeable character, a woman born way before her time but one that had learnt to let vain men think they were far more superior to her. When a young pregnant disgraced daughter of wealthy gentleman goes missing, concerns grow for her safety and Heloise eventually agrees to assist in finding the young lady. It requires her to move back to live in the red light district again and all the dangers that go with it. What a belting story this is, a real mystery to solve of who and why someone would do this. I seethed at how she and other women were treated back in 1863 but in many respects it meant that Heloise wasn’t really seen as a threat. The story is one that was edgy from the first few pages, as it dipped into the activities of the murderer and his victims. There was a link to them all, it was a matter finding their connection to the killer. I loved the descriptions of the era, the houses and clothes which brought the whole story to life. Heloise’s Chinese maid, Amah Li Leen is a worthy assistant way past that of her normal duties, another great character in the story. There are shocks in store for Heloise and heart ache. I hope that this is going to be a series. A brilliant addition to a long line of super detectives. Awesome! Tjia has a PhD in Creative Writing and Literary Studies. Her novella The Fish Girl won Seizure’s Viva la Novella, 2017. She has been shortlisted for the Josephine Ulrick Short Story Prize, Overland’s Neilma Sidney Short Story Prize, Fish Short Story Prize, and the Luke Bitmead Bursary and longlisted for CWA dagger awards. Her work has appeared in Review of Australian Fiction, Rex, Peril and Shibboleth and Other Stories. 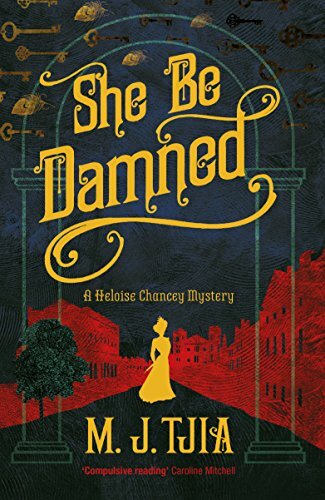 She Be Damned is M.J. Tjia’s debut novel, and is the first instalment in her Heloise Chancey historical crime series. 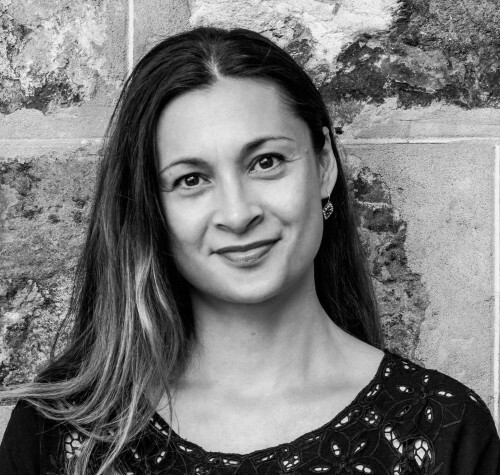 M.J. lives in Brisbane, Australia, with her family, and as of January 2018 is now the Prose Editor of Peril Magazine.